Don’t like new “blue” LED street lights? You are not alone. Around the world streetlights are being retrofitted and replaced with LED lighting. The promise of lower energy consumption, no light spilling upwards, the ability to dim or cut off the lights seem good on all counts. However many installations are using lights that are to bright and “too blue” with a colour temperature of 4000K and above, despite the downsides to visibility and health from such lights. 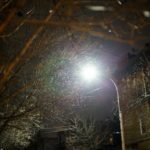 No Sleep in Brooklyn: Some NYers Are Struggling To Adapt To Harsh, ‘Authoritarian’ LED Streetlights. 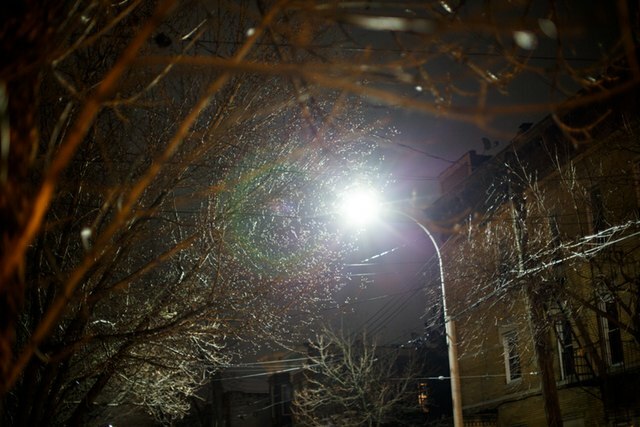 The lights installed in Ridgewood and across Brooklyn and much of Queens are rated 4,000 degrees Kelvin, a measure not of brightness, but of what’s called color temperature. A sodium bulb has a color temperature of around 2,200K, meaning it contains many fewer blue wavelengths, and many more red and yellow ones. Researchers have found that blue lights in the 4,000-5,000K range pose problems, including increased glare, which can hinder road safety, and disruption of people’s circadian rhythms. You know how people are telling you to limit your screen time before bed? The same principle is at work here. Mr Allison, from the Ashgrove-based society, said while he was happy the council was taking the time to conduct light tests, he hoped the final design would take into account light pollution. “Of course it’s good that council want to reduce power costs and so they should, but (cost) should not be the only criteria,” he said. Are Moscow’s LED streetlights too bright? Agron, the division manager of engineering at ML&P, said complaints about brightness aren’t new. People thought the sodium-vapor lights were too bright, and he said the utility expects the same for LED lights. Previous PostUK National Parks Dark Skies FestivalNext PostWhy stay below 3000K?